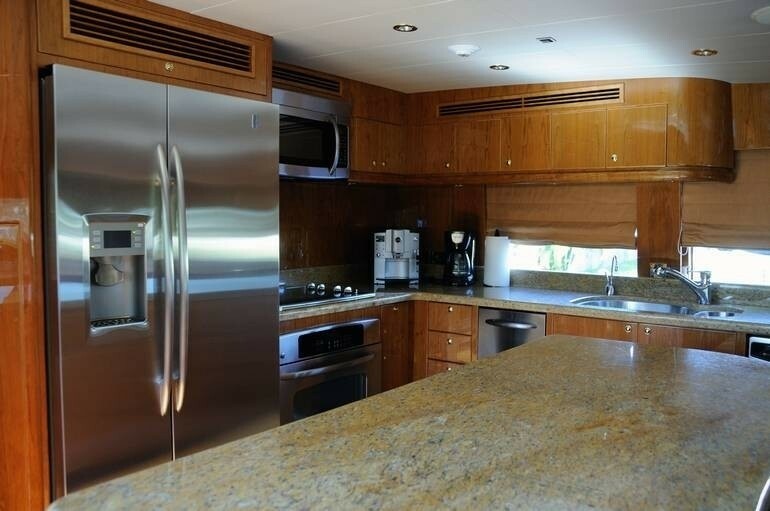 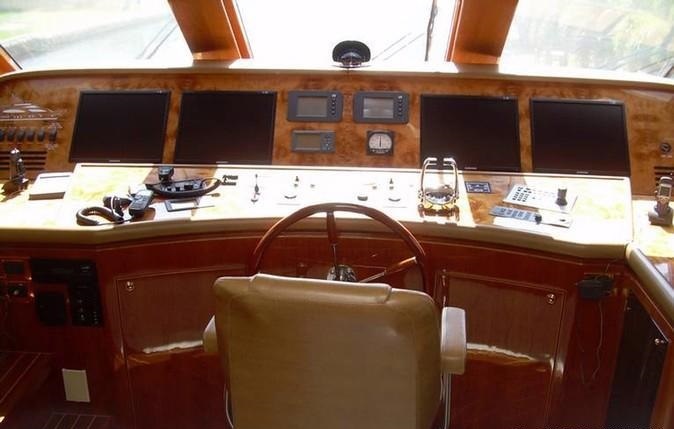 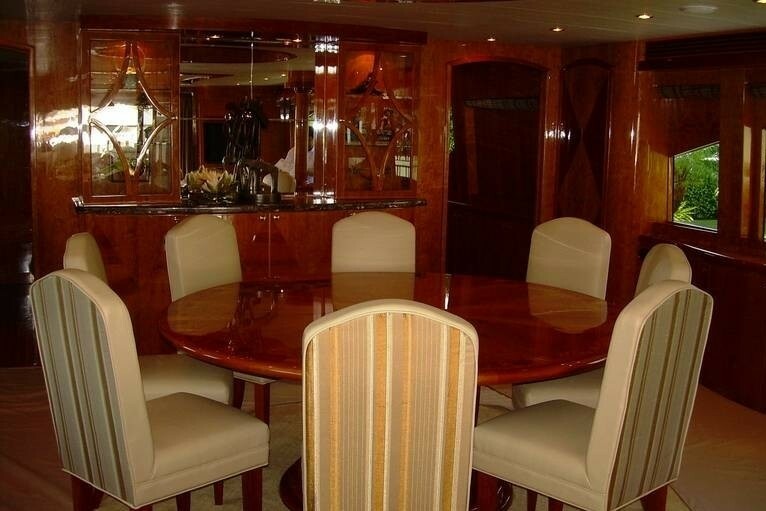 Luxury crewed charter yacht PERFECT HARMONY is a 30.5m (100ft) Hargrave yacht built in 2008. 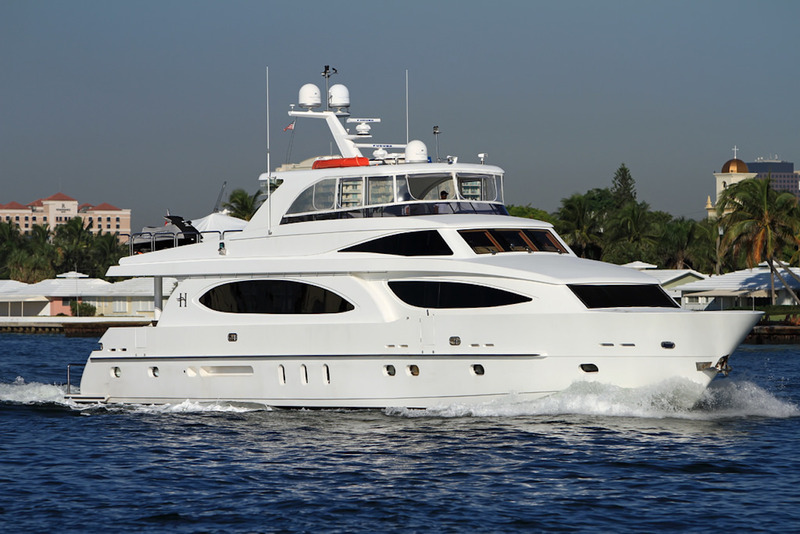 She features an elegant interior décor by Shelley Dicondina and exterior styling by Ben Dodarell and accommodates up to 8 charter guests, in 4 well-appointed cabins. 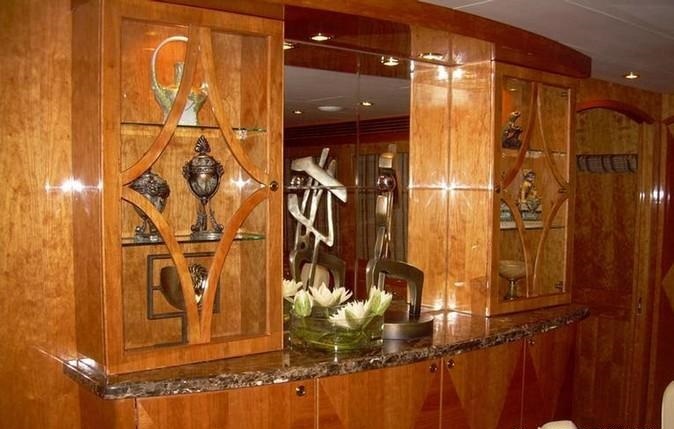 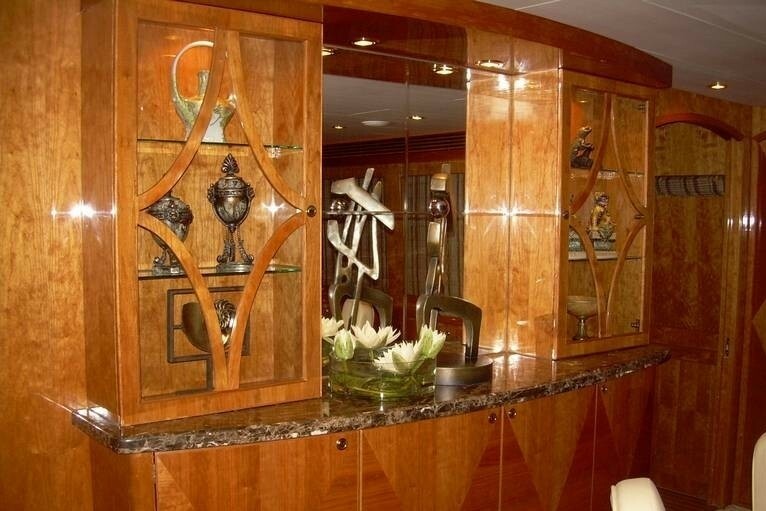 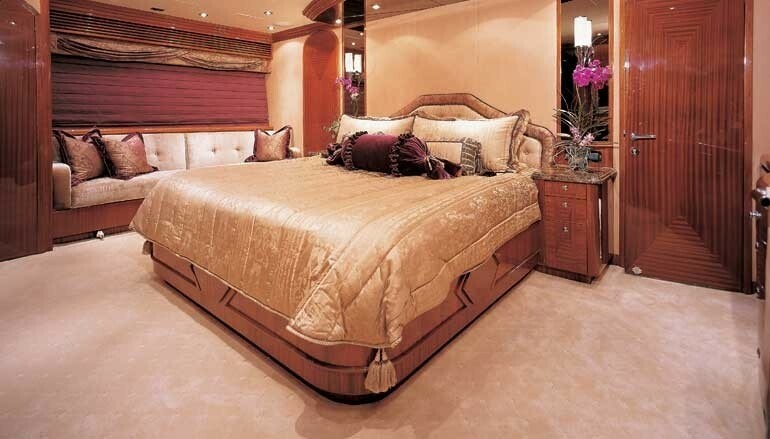 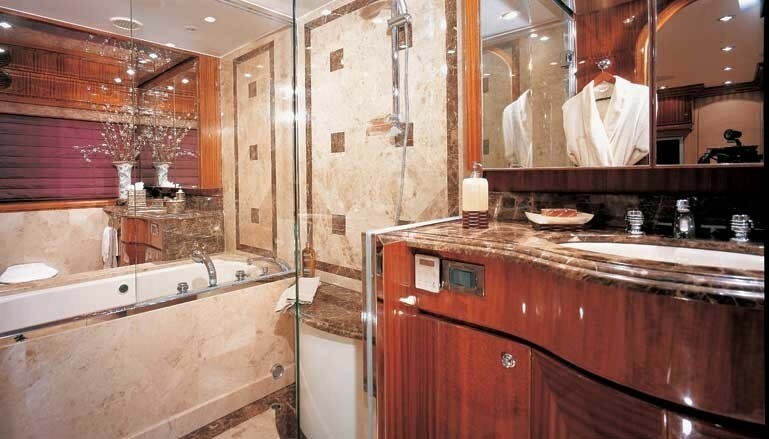 The design of this yacht has a bespoke sophisticated interior, featuring rich high gloss cherry woods, lavish fabrics, sumptuous soft furnishings and luscious marbles. 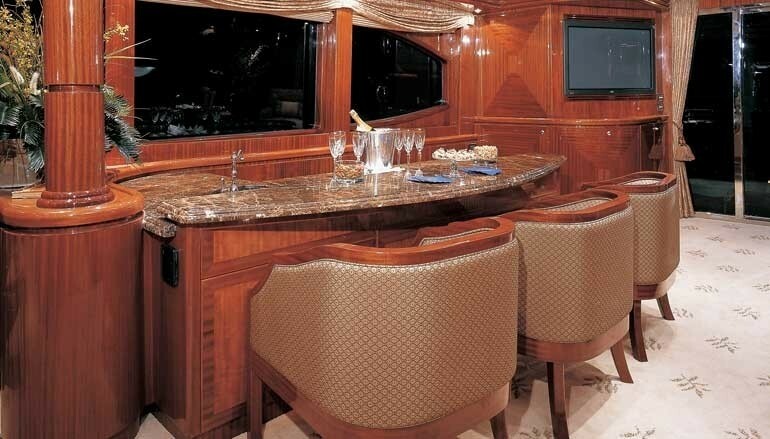 The salon and dining is a contemporary open plan, offering a generous lounge aft, with ample seating, coffee table and marble topped wet bar. 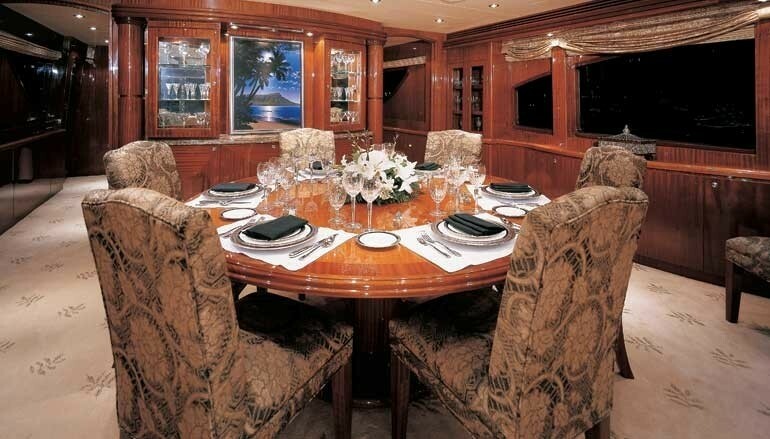 Forward, the timeless round formal dining table seats 8 guests with ease. 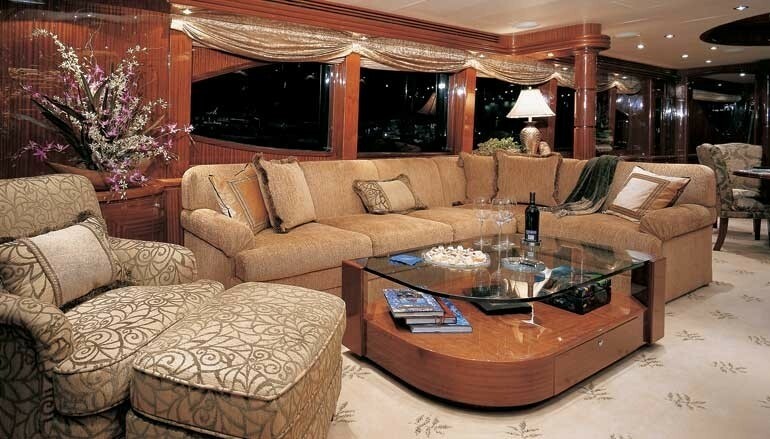 The main deck areas enjoy plenty of natural light, from panoramic windows. 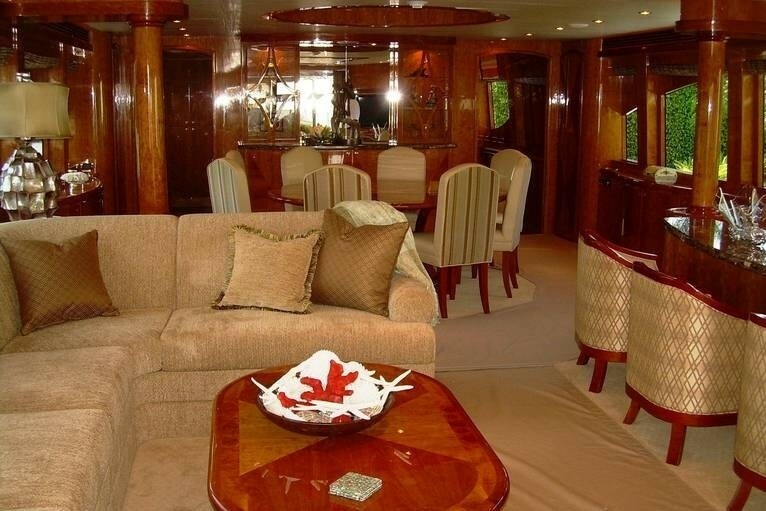 A foyer to starboard leads to a spacious country style galley, complete with a central marble topped island and casual dinette. 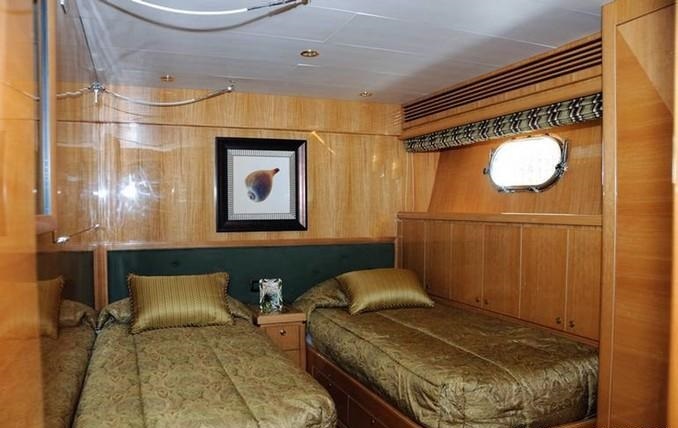 The VIP cabin is forward of the galley and boasts a centre lined queen size bed. 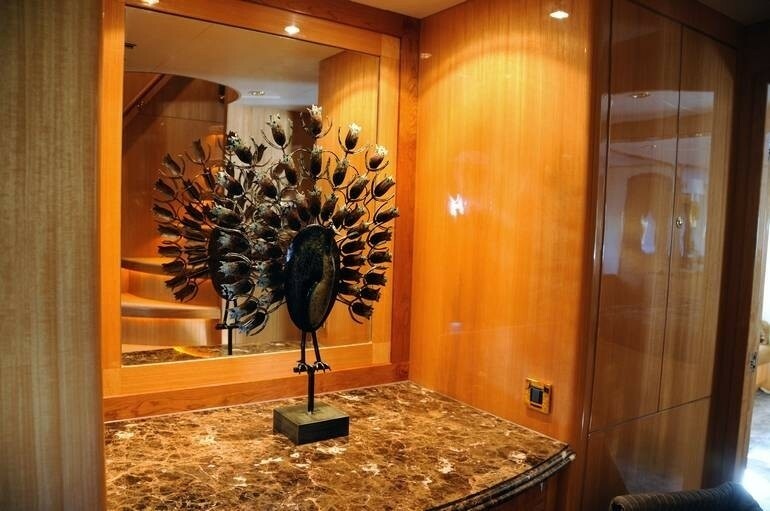 From the foyer, below deck accommodation is accessed via a stair well, while an upper stair case leads to the sky lounge and pilot house, offering additional seating and spectacular views. 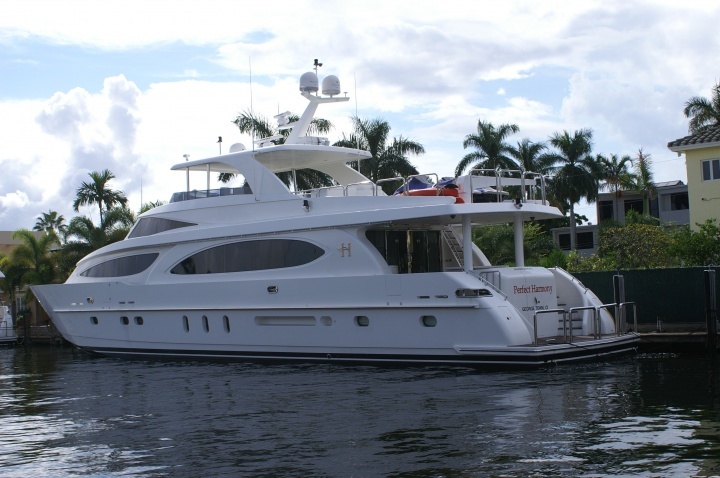 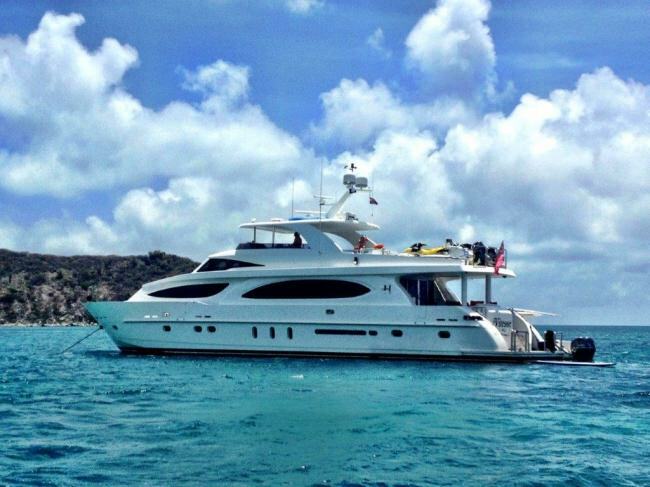 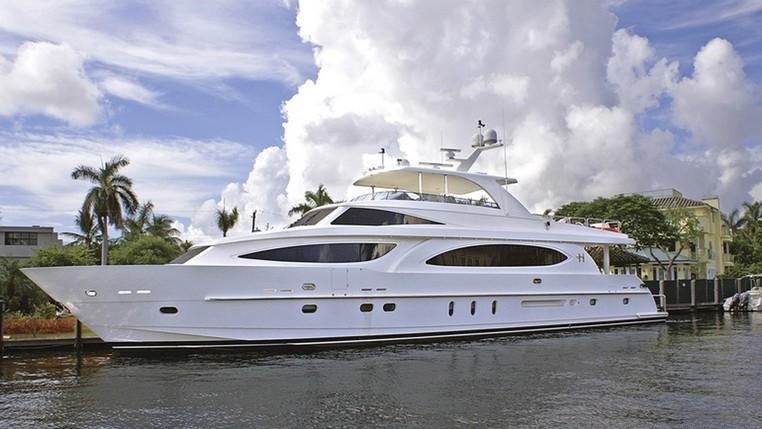 The Hargrave motor yacht PERFECT HARMONY has well-appointed exterior living on 2 decks. 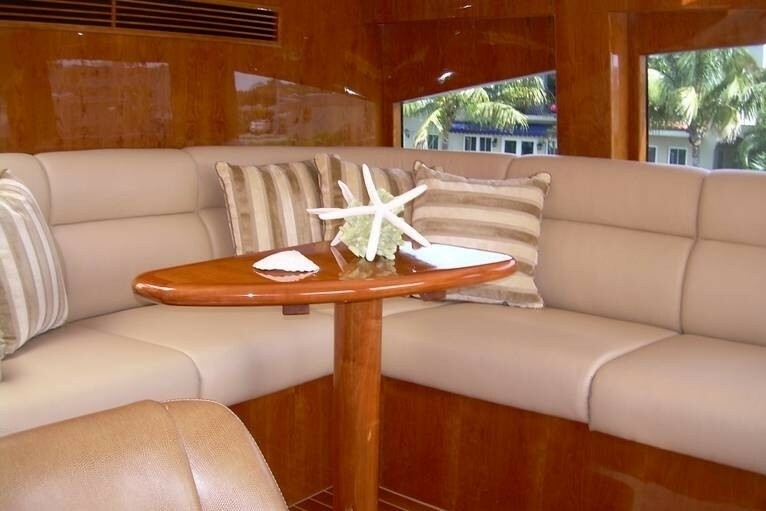 The aft deck is adjacent to the salon and offers an alfresco dining option, seating and shade. 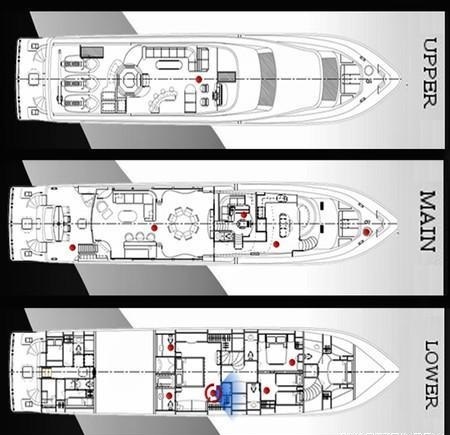 Dual steps on port and starboard access the extended swim platform, where guests will find effortless enjoyment, of the numerous water toys on offer. 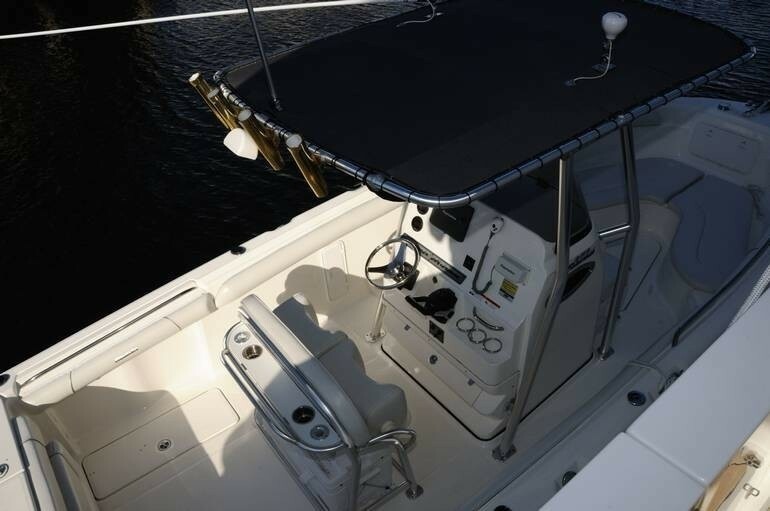 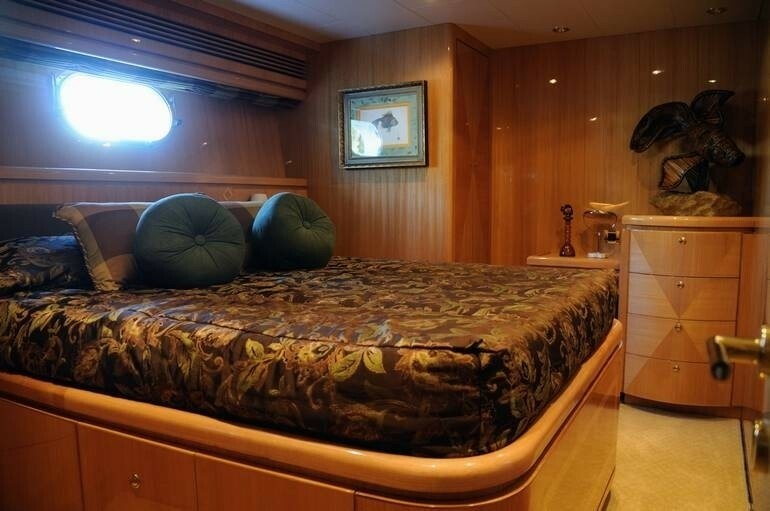 On the bow, there is a double sun pad and seating area, perfect for sunning and relaxing in private. 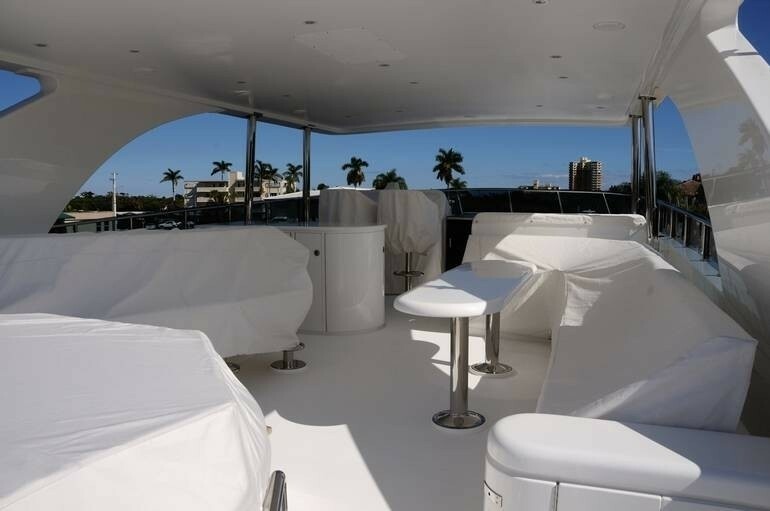 The upper flybridge deck is ideal for entertaining and features a partially shaded seating area with table, wet bar with stools, sun pads and deluxe Jacuzzi tub. 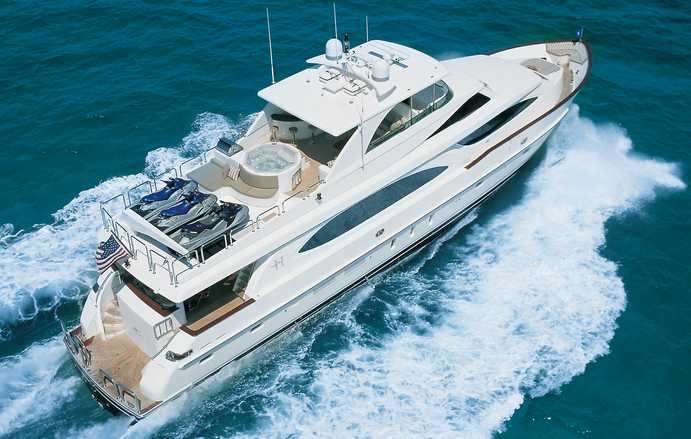 She is strongly powered by 2 x CAT 1550hp engines, she cruises at 18 knots and can reach top speeds of 21 knots. 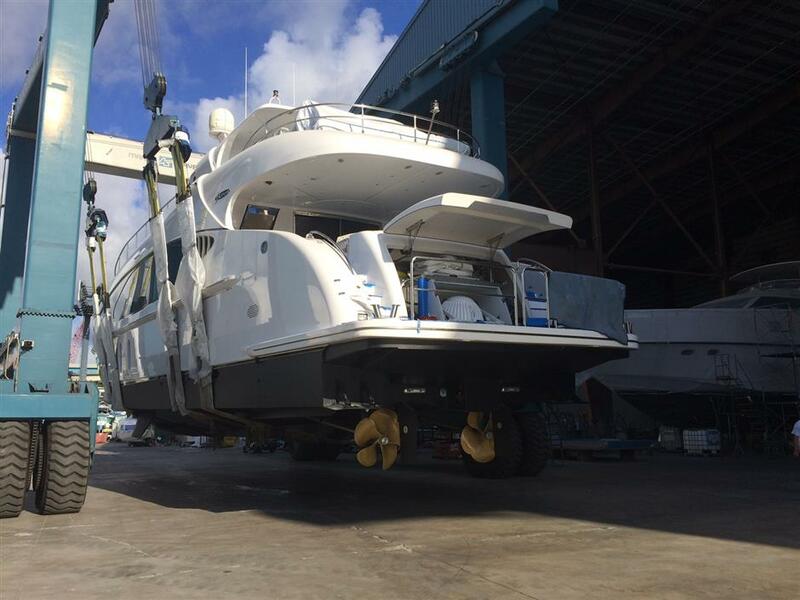 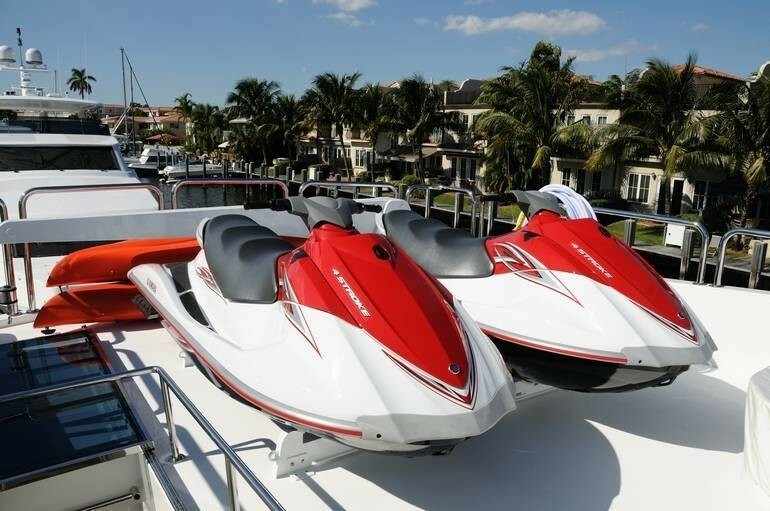 Ultra-modern stabilisers have been fitted, to provide guests with a smooth luxury charter yacht experience. 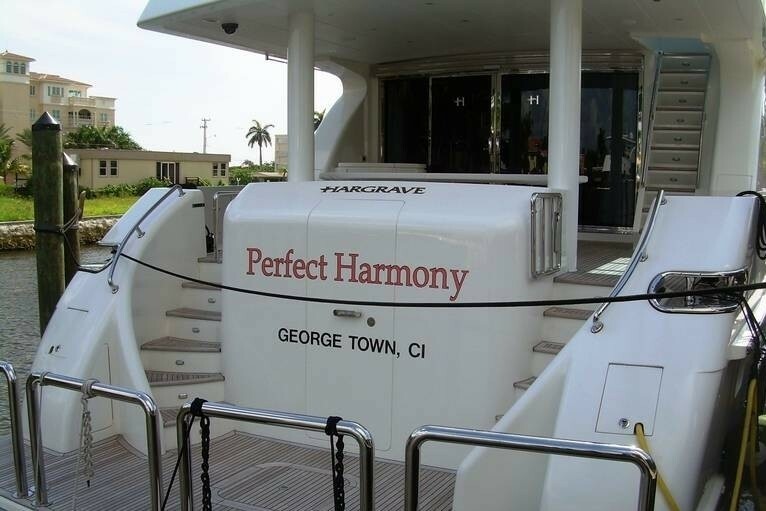 PERFECT HARMONY yacht can accommodate up to 8 guests, in 4 en-suite cabins. 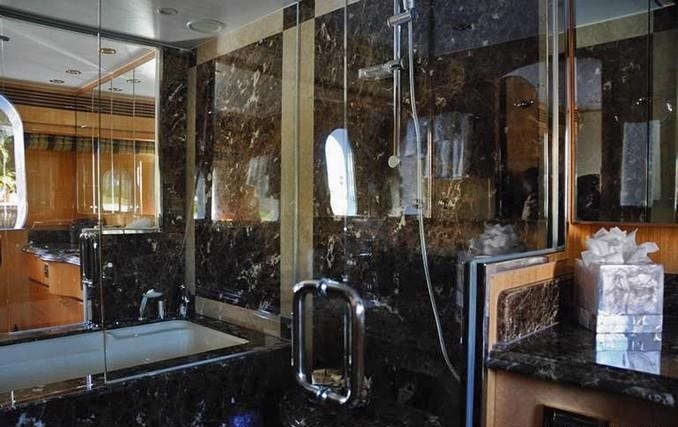 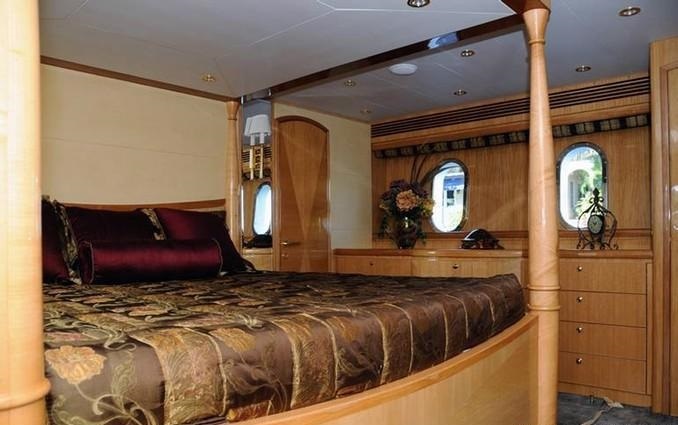 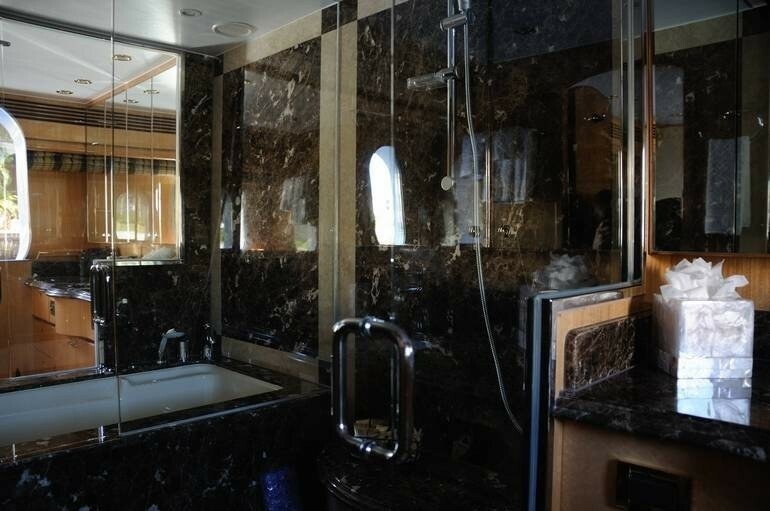 The master suite is on the lower deck and full beam of the yacht, with a centre, lined king size four poster bed and his and hers en-suite facilities. 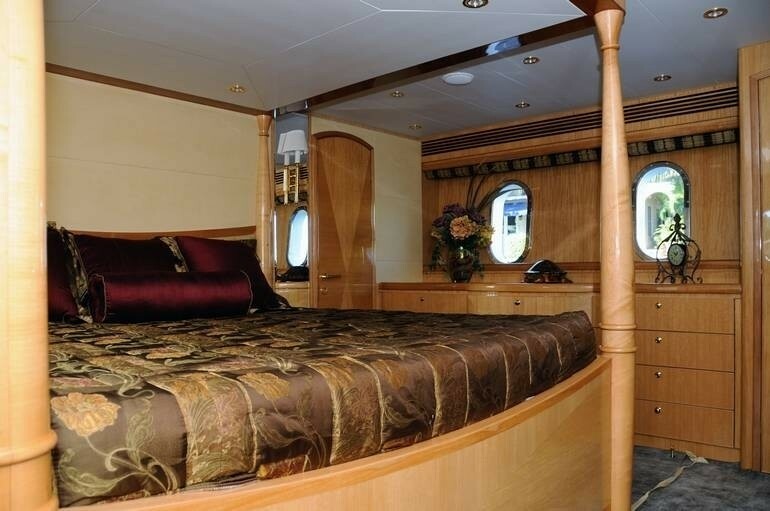 The VIP cabin is on the main deck, forward and lower of the galley, with a private entrance, full beam layout and centre lined queen size bed. 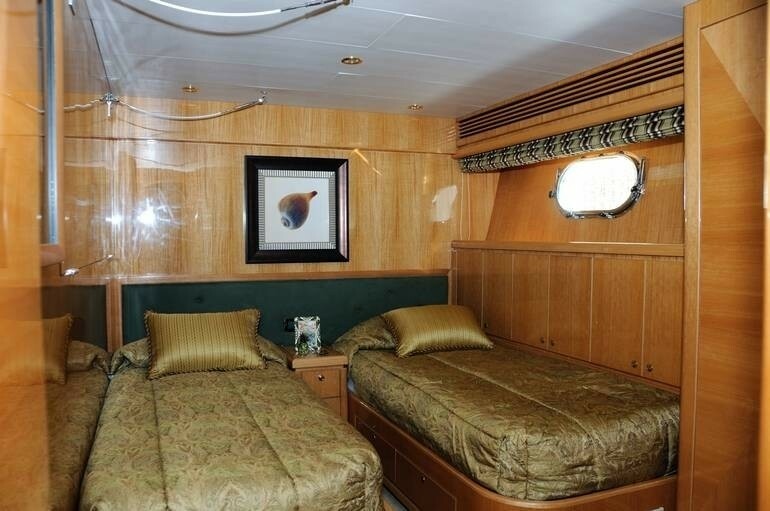 On the lower deck, a double cabin offers a walk around double bed, while a further guest cabin has side by side twin beds. 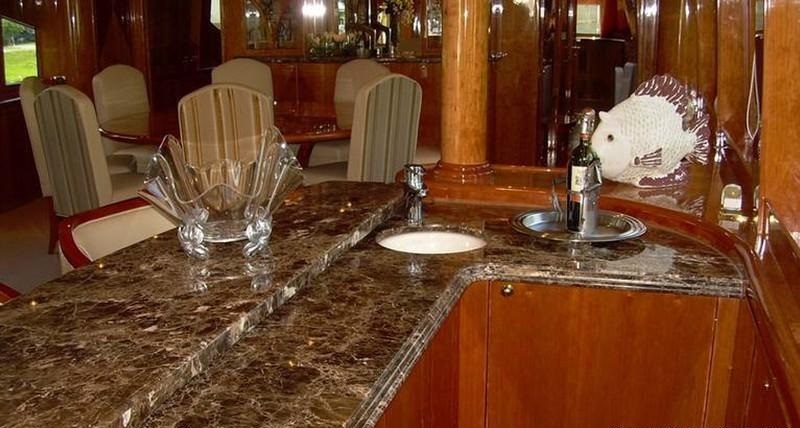 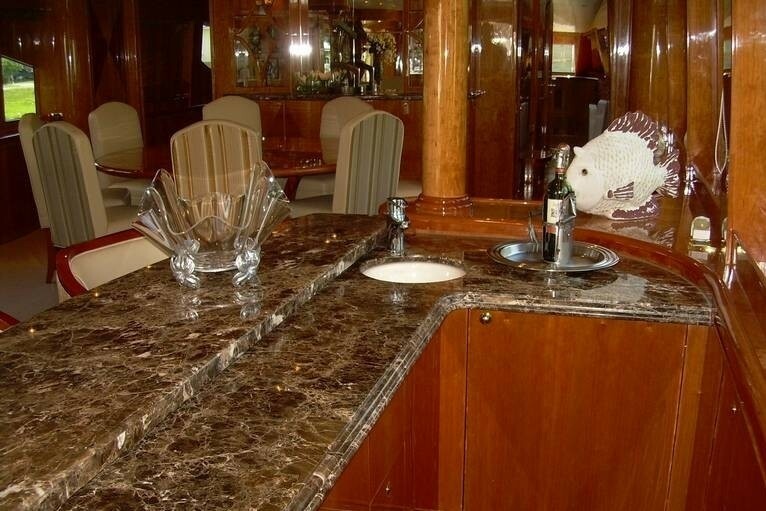 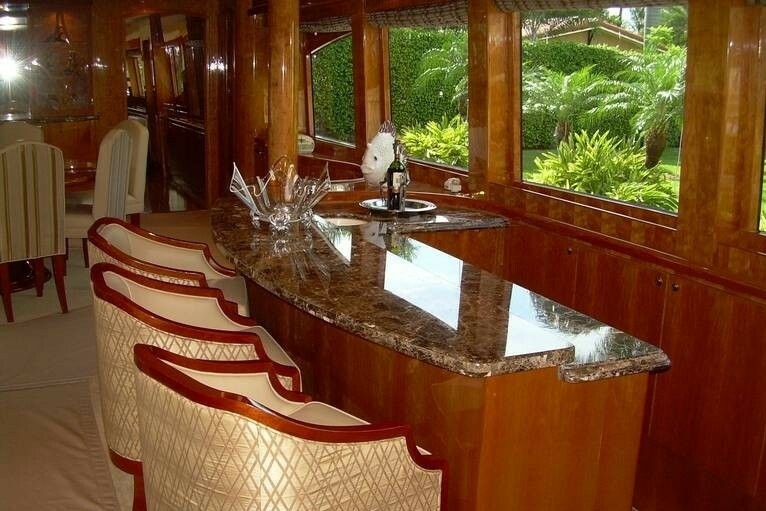 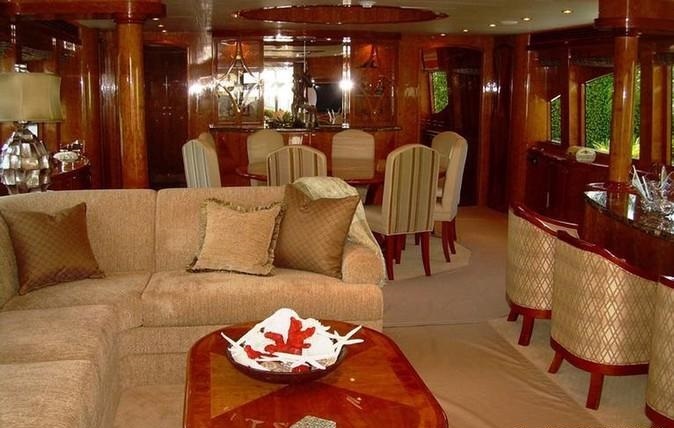 This beautiful yacht is fully air conditioned throughout, ensuring guests comfort and relaxation.